Its been a busy traveling month for me. 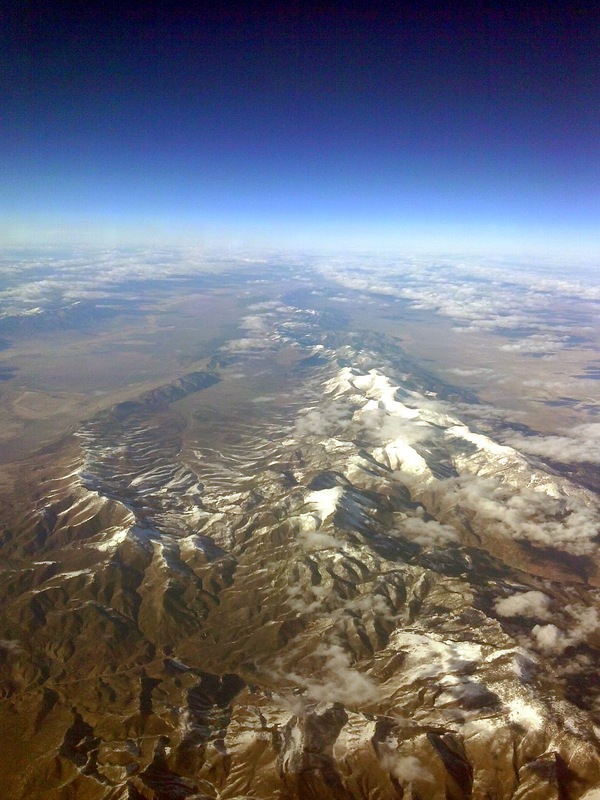 These are shots from my last flight back from Sacramento to Denver (the flip side of the gremlin ride out). This past week I was back out on the east coast in Baltimore again. The whole experience has really gotten more worn out and I haven't really found any serious opportunities to paint. This is a bad thing with Reaper Con coming up towards the end of April I really need to buckle down and get my entries started. Right now I have three picked out and we will see how they go. I would like to do a vehicle entry but I don't now if I can pull that off as well. I have plenty of 15mm vehicles around that I could work on but they typically don't do well in painting competitions, at least not something like ReaperCon. I need to see if I have any mechs around that I could paint up or maybe a larger vehicle kit to work on. 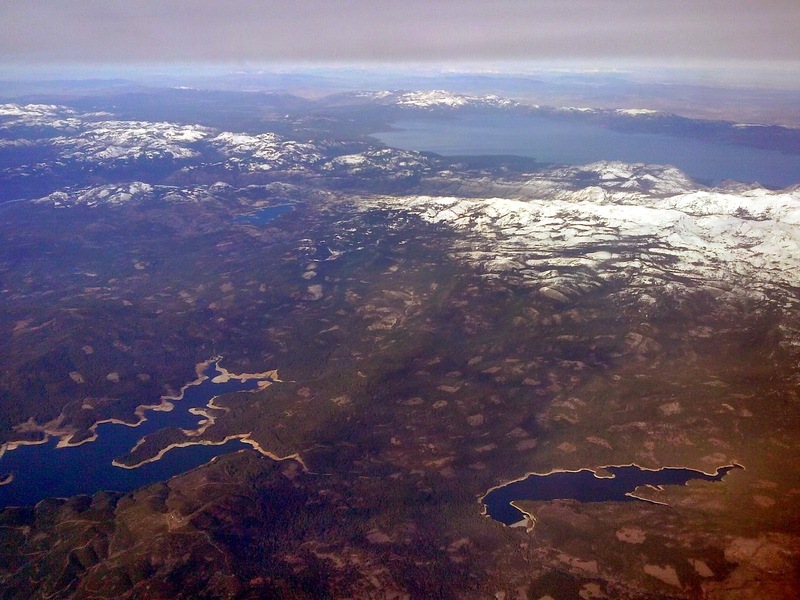 Anyway here are the shots coming back from Sacramento to Denver, it was kind of depressing flight. 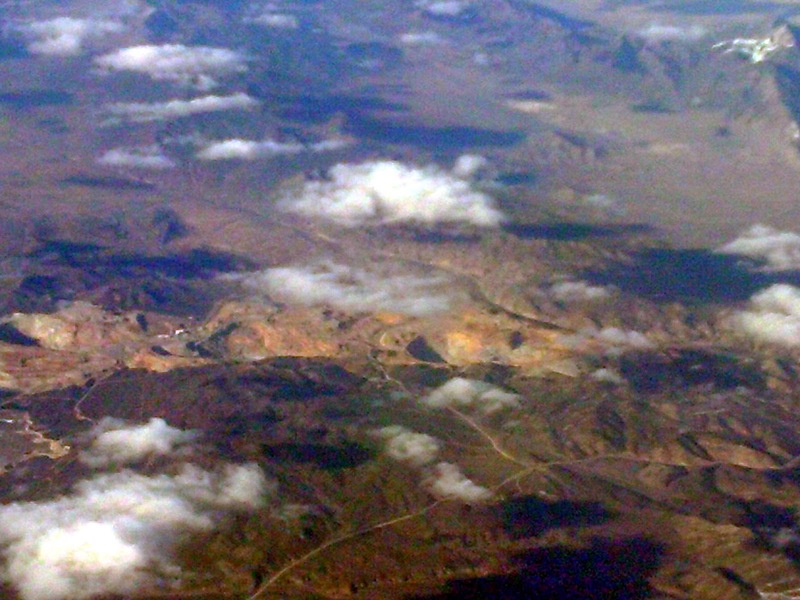 This is an open pit mining operation. You can see two of the pits which much be huge since we are currently flying at 38,000'. And now the clouds of hidden everything, this does not bode well. 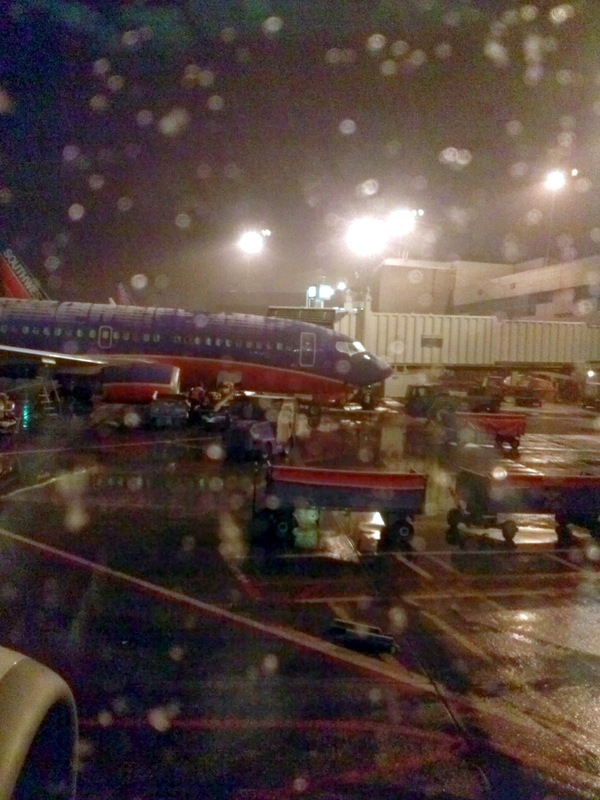 Yep, here we are in Denver, getting to the gate while the snow falls. I still have to hike out to my car after this too! I'm back in Sacramento. 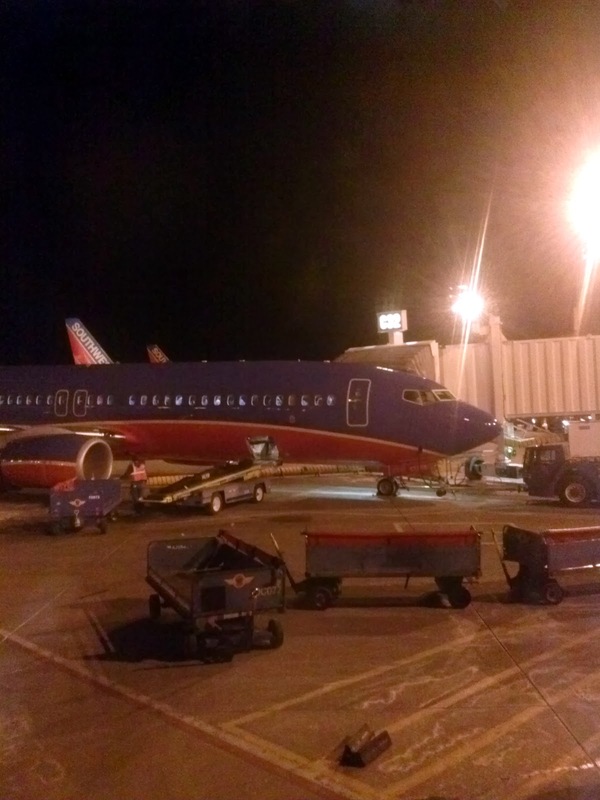 I flew out on Monday night and I was an early boarder so pretty much could take any seat I wanted (A 02 for you Southwest flyers). 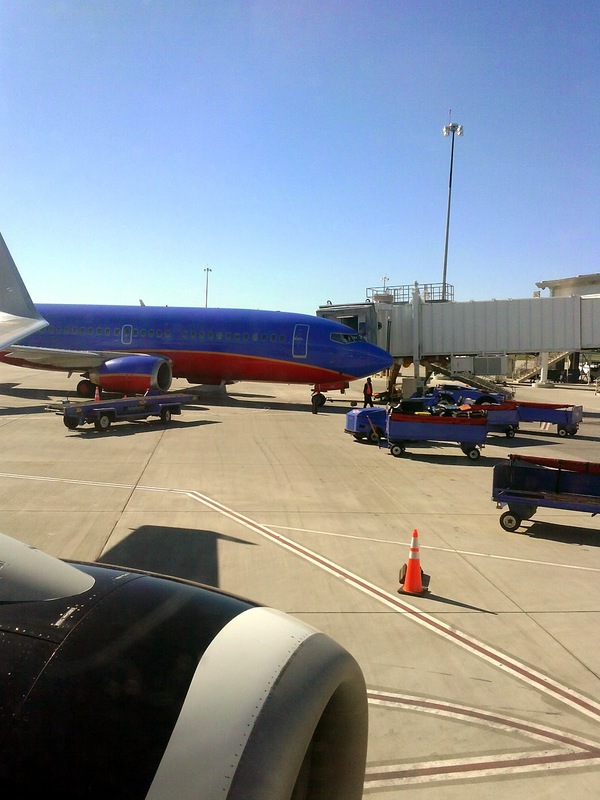 So a window seat up front just forward of the engine. 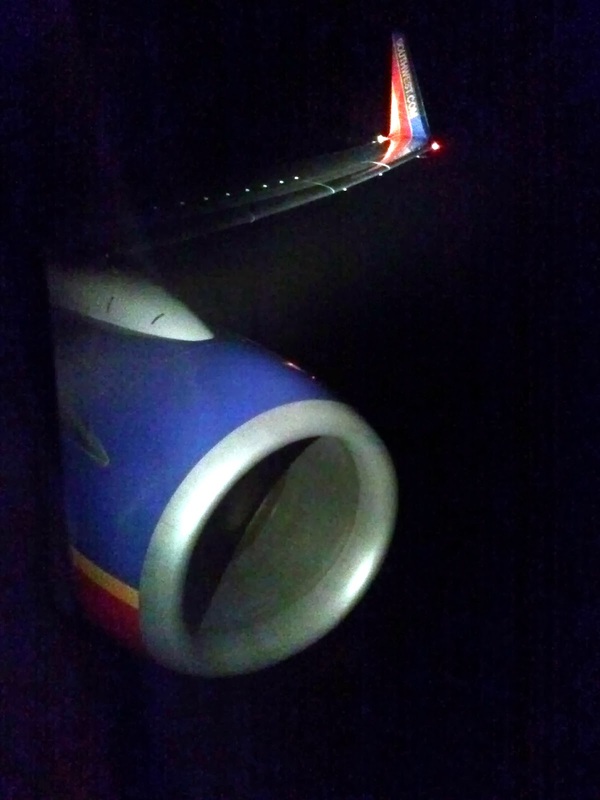 At some point I was looking out and I took a shot of the engine out to the tip of the wing as we were cruising along at 38,000 feet. All I could think about at that point was William Shatner and his episode in the Twilight Zone; Nightmare at 20,000 Feet. 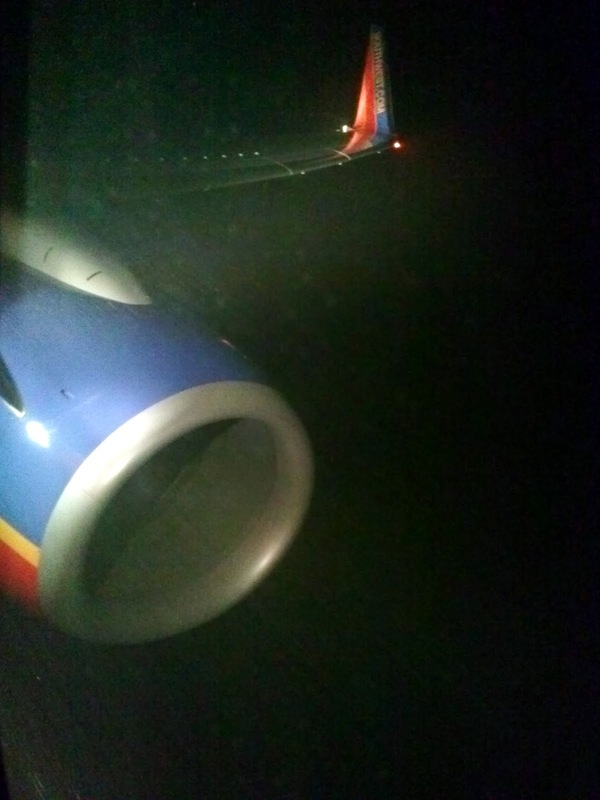 It was raining as we descended into Sacramento and I kept expecting to see a little gremlin on the wing above the engine. I think I may have been a little tired. 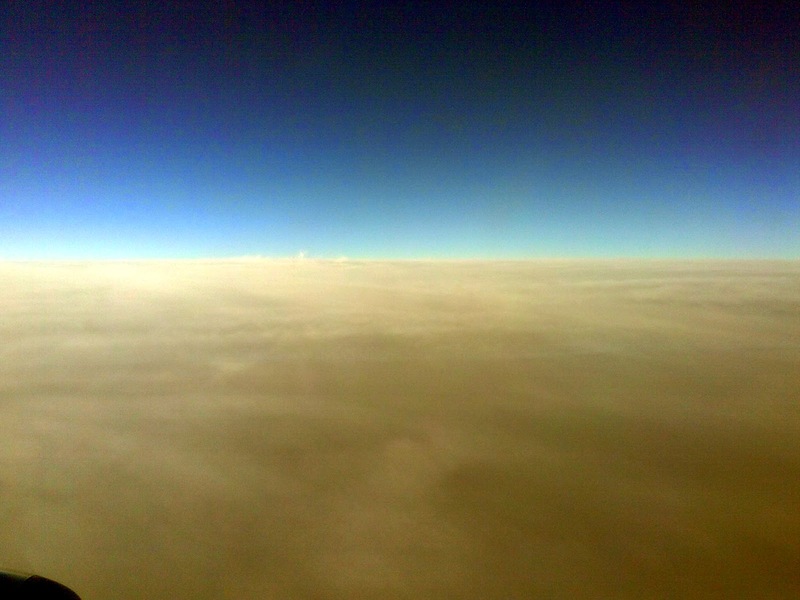 Descending to Sacramento in the rain, is that a shadow out there?